With regard to the increasing needs of our clients, we are pleased to present a new VENIPAK service that will allow your parcel to be delivered to and from any country in the world in extra fast time. 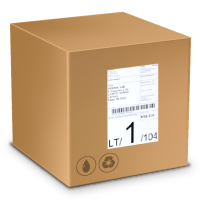 VENIPAK clients will be able to choose from two different delivery methods – express delivery for the delivery of express parcels and documents from and to Lithuania from most countries of the world (express service) and surface transport meaning that your parcel will take longer to deliver but at a very attractive price. The new VENIPAK service will be useful for business enterprises that will be able to deliver small parcels globally. However far your parcel goes, VENIPAK undertakes to ensure the highest parcel delivery standards. For more information contact your customer account manager or email global@venipak.com.